For over 50 years, Insulfoam has been enabling building professionals to construct high-quality building roofing systems at a realized value. 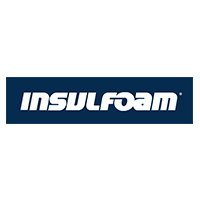 With the widest range of faced, laminated and standard high-performance EPS insulation products, Insulfoam has the proven technology to meet your project and budget needs. We offer our new Platinum GPS, R-TECH®, Insulfoam SP and other great products. Powered with Neopor® by BASF, Insulfoam Platinum GPS (Graphite Polystyrene) rigid insulation is designed to maximize insulation performance, while maintaining a light-weight, thin product ideal for use in space constrained areas or colder climates. InsulWall® and R-Tech® Platinum GPS Insulations provide a high long-term stable R-Value, and meet building code requirements. R-Tech Fanfold Recover Board is a high-performance rigid insulation consisting of a superior closed-cell, lightweight and resilient expanded polystyrene (EPS) with advanced polymeric laminate facers.